Specialisation:__Cass is ideal for a masters degree if you are looking for niche programms and highly specialised masters. Of course there are also many programms, like the one I did (Shipping, Trade and Finance) which are niche but do not limit you in your career prospects because of their wide applicability. I had never before seen in a place where so many people had such diverse career paths planned yet all doing the same degree.____Reputation:__I did not know it that much before starting my masters degree, but Cass enjoys an incredibly good reputation in the industry and consistently ranks among global leaders in their fields. Many prospective companies spoke very highly of my degree as well as the Business School in general and it really opnened some doors. Excellent Reputation!____Network:__You meet a lot of people that like I said will end up in all kinds of jobs all over the World. The diversity both culturally and professionally is an ideal place to build a rich network that can be of great help in the future, Additionally, the alumni network is extensive and well connected to the business school, happily providing assistence and coming in to give talks on a regular basis. Cass focuses on business education and has many experienced professors. The lectures are clear and understandable, and the lecture notes are especially useful. Also, the school emphasises the importance of commercial awareness, which is an important factor for students’ future success. If you're the owner or representative of Cass Business School, you can claim this University and build a better profile. 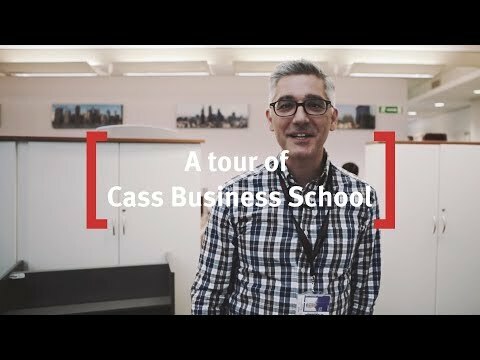 Interested in studying at Cass Business School?